Over 90% of teens, 50% of adult women and 25% of all adults, regardless of gender, suffer from acne and skin imperfections. Fereto Skin Correction was created for those with acne, blemishes, skin imperfections and scaring/lesions left by acne. 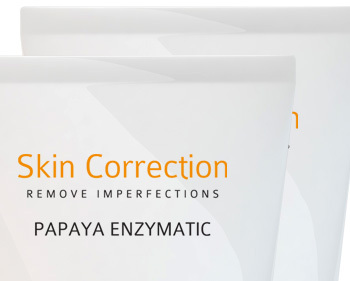 The peeling enzyme in the fruit acids, Papaya, natural Vitamin E and Aloe Vera remove dead skin and imperfections, clean out deep pores and treat and eliminate acne or signs of having had acne. These peeling enzymes in the fruit acids are often used by those who want an even skin tone without blemishes or redness. This is not a chemical peel and will not cause any damage to your skin. Whilst chemicals can provide instant results, they destroy and breakdown your skin over time, often making it worse than before. 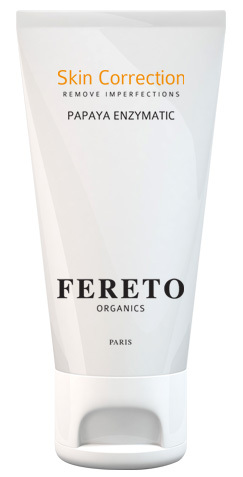 Fereto Skin Correction is certified by Qualite France and certified organic; what’s more, it is made of all natural ingredients which improve skin regeneration and provide long-term results. It is also recommended for those with sensitive skin who cannot use chemical treatments. There are numerous benefits of Fereto Skin Correction and your skin’s appearance will improve from day one. After a month you will notice that you no longer need foundation to conceal your skin imperfections. Your skin will now be thoroughly cleansed and have an even complexion. Apply an adequate amount on the entire face, like a mask. Do not apply to your lips or eyes. Leave on for 5 minutes and then rinse with warm water. Moisturize your skin with a moisturizer appropriate for your skin type. 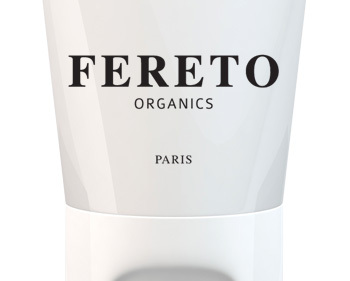 Fereto Organics is rich in natural ingredients, it is what your skin wants!